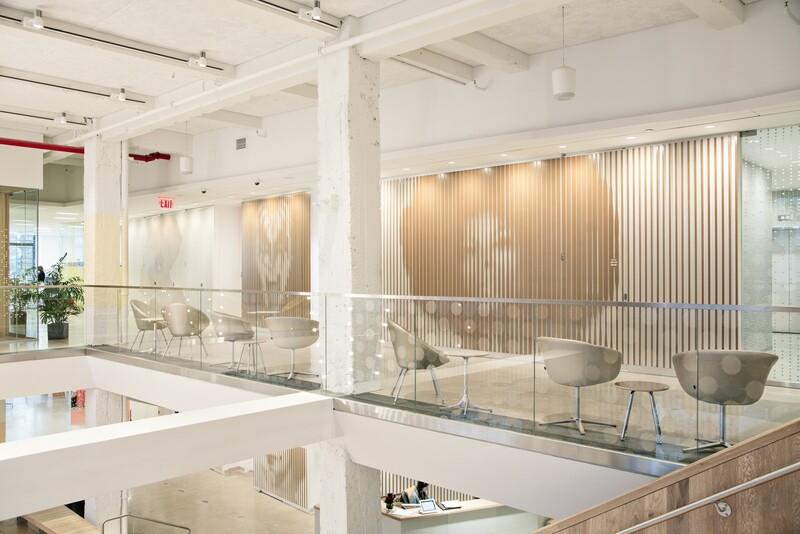 Internet radio provider Pandora Media acquired a new east coast headquarters, a 47,600 sf space adjacent to Grand Central Station. 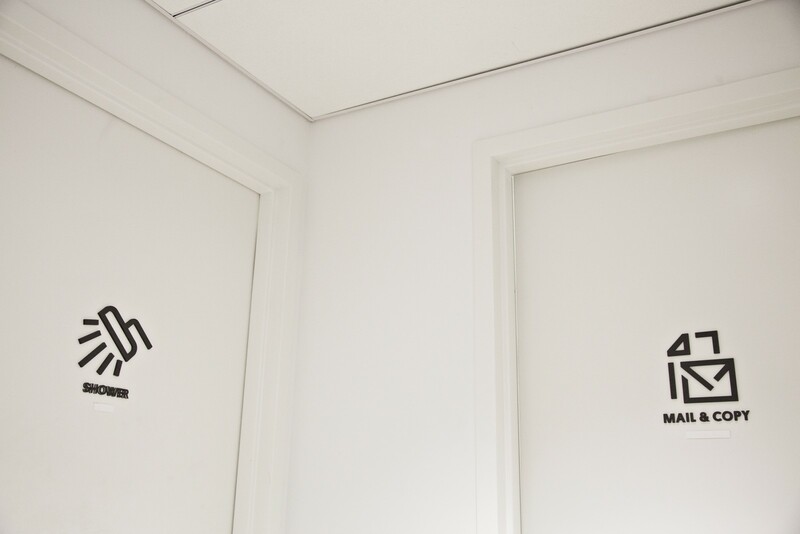 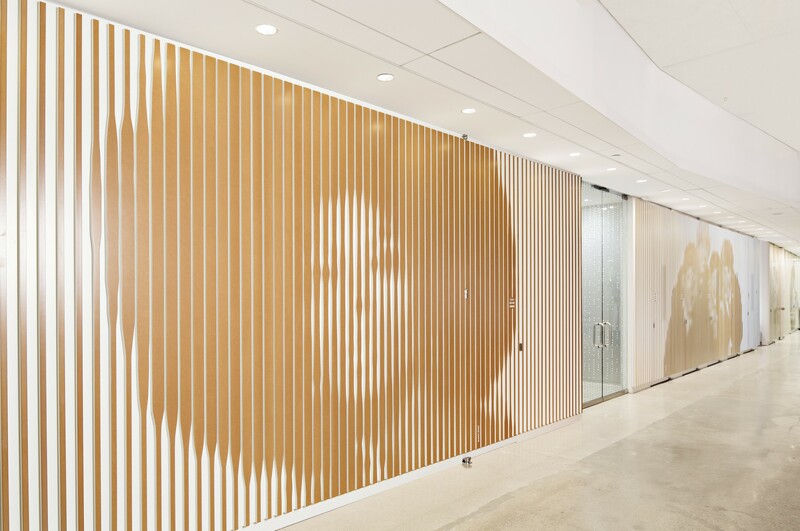 The company’s expansion consisted of two floors in the 1920's office building that required complete renovation and connection between floors. 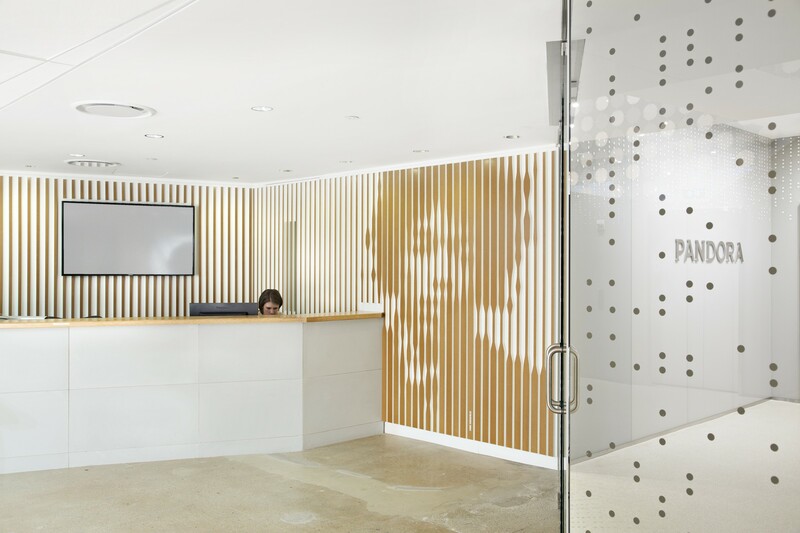 Architecture office ABA Studio handled all physical outfits for the new space, and in close coordination, WSDIA completed environmental graphics and the wayfinding and signage system. 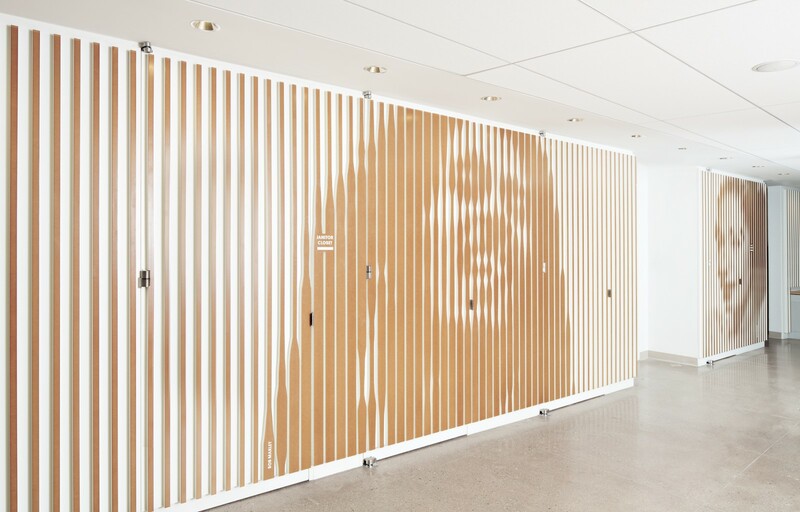 The environmental graphics included an expansive 136’ long louver wall featuring portraits of legendary musicians. 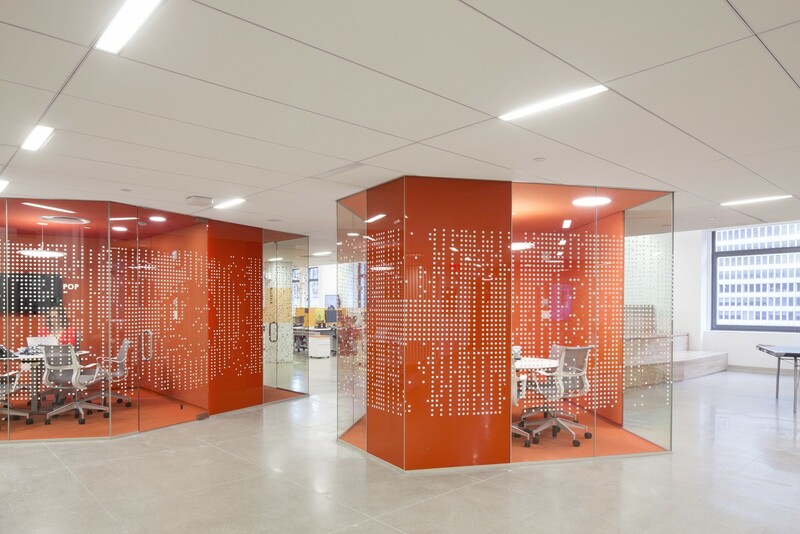 The conference rooms’ glass is peppered with a dot-matrix graphic pattern that defines the surface of the volume, provides visual privacy, and is formed by supergraphic typography of the meeting room name they enclose. 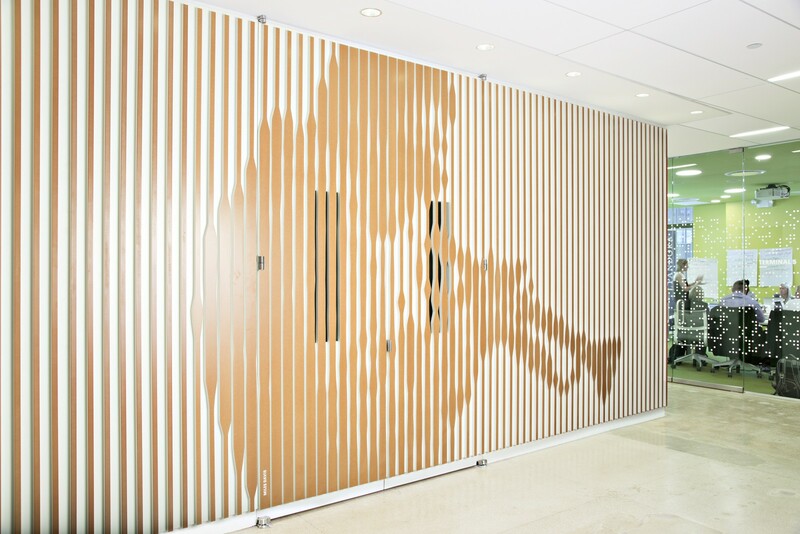 Related projects: Hall & Partners,	Nike NYHQ.